Facebook is working on Business Pages, one interface for managing pages and ads. Tribeca Film Festival is holding a Vine competition again. These stories, and more, in today's Morning Social Media Newsfeed. Facebook is preparing a new product that will give enterprises and agencies a single interface to manage multiple ad campaigns and pages, the social network confirmed to TechCrunch, saying that Business Manager is in what it is calling “focus release” with a select group of clients, and adjustments will be made before it is rolled out globally. A release date was not specified. TechCrunch There’s just one problem. Business Manager could directly compete with Facebook’s Preferred Marketing Developers who it has historically left to serve these lucrative customers. 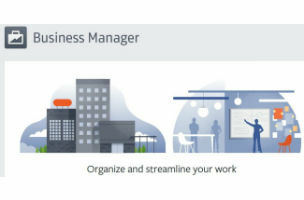 Slash Gear Some of the highlights for Business Manager, listed on Facebook, include managing all your Facebook Pages and ad accounts at one place and seeing who has access to your pages and accounts. Details like click-through rates, performance and scheduling of posts are also included in this new manager. Marketing Land It remains to be seen whether access will be limited to truly large entities. To get in line you can contact your Facebook sales representative. For the second year running, the Tribeca Film Festival will include a Vine competition. Winners will get a meeting with Gary Vaynerchuk’s Vine marketing agency, GrapeStory, as well as a profile and interview on TribecaFilm.com. According to Jenna Wortham, New York Times Bits Blog contributor, the beauty of the brand experience on Instagram is that it’s not quite so prescribed. While Amazon has a “finely calibrated algorithm” to make purchasing suggestions, Wortham likens Instagram to a modern bazaar. A new malware scam is spreading around Facebook. This time, hackers are taking advantage of the missing Malaysia Airlines flight MH370 to hijack Facebook accounts. Secret, the anonymous social sharing startup, announced on Friday it had raised an $8.6 million Series A round of venture funding. As was reported previously, participation in the round included Alexis Ohanian and Garry Tan of Initialized Ventures, as well as existing seed investors Google Ventures and Kleiner Perkins. Recently, a devastating explosion in Harlem claimed several lives and left New Yorkers deeply saddened. Examining Twitter data from immediately following the accident reveals information that might otherwise not have been discovered. So, you’ve got an exciting story that you think is just perfect for the media: a client’s new product, a huge acquisition, an industry-shaking study … something spectacular. Twitter can be a huge boon to PR folks looking for ways to reach out to journalists and publishers with a story idea, as long as it’s used right. China’s Weibo microblogging service, which filed Friday for an initial public offering, is often compared to Twitter and for good reason. Both limit messages to 140 characters, but have become important tools of expression. Boston-based start-up “Layer3 TV” has raised $21 million series A funding in its push to become a “next generation cable provider.” The network, which hasn’t launched yet, is helmed by cable and technology veterans, including CEO Jeff Binder who founded Broadbus Technologies; chief of technology Dave Fellows who served as CTO at Comcast and ATT Broadband; video technology chief Chuck Hasek who was Time Warner Cable’s technology chief; and head of Marketing Eric Kuhn, the former social media guru for CNN and United Talent Agency.